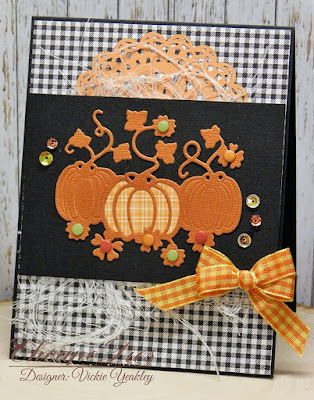 Vickie Y sharing a card using the Exclusive Cheapo Die Pumpkin Patch with you today. I die cut the Pumpkin Patch using Rust cardstock then inlaid the die cut areas on the end pumpkins. Used a piece of plaid scrap designer paper to die cut the center pumpkin and inlaid the plaid pieces into the center pumpkin to give a bit of contrast between the pumpkins. The black cardstock panel has a piece of cheesecloth layered behind it. 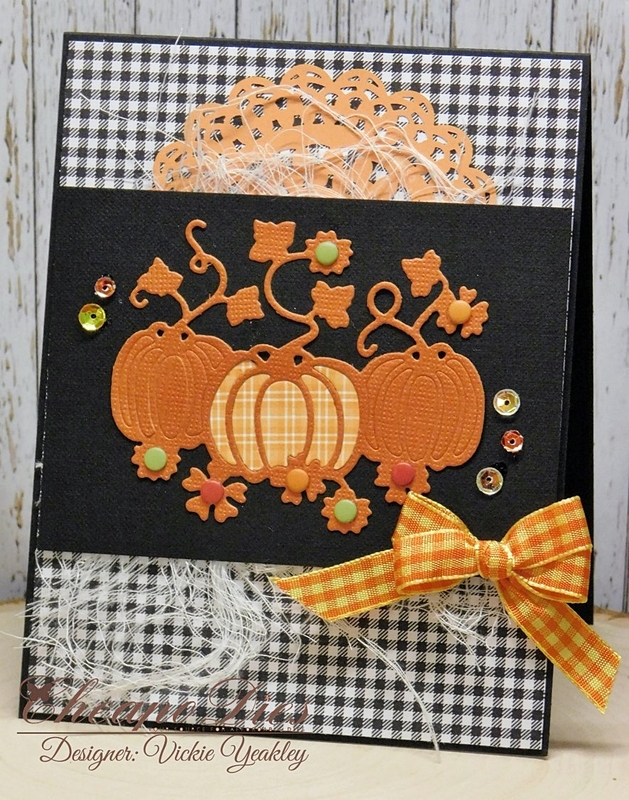 The die cut was embellished using candy dots and sequins layered onto the black panel. A gingham bow and a doily from my stash are also used as embellishments. this is super cute and lucky for me, I have that die! 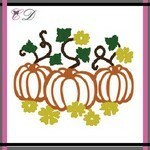 I may (as in probably will) try your idea for my Thanksgiving cards. I already have my Halloween ones done. Beautiful design!! You had me with the gingham let alone the doily...love it!